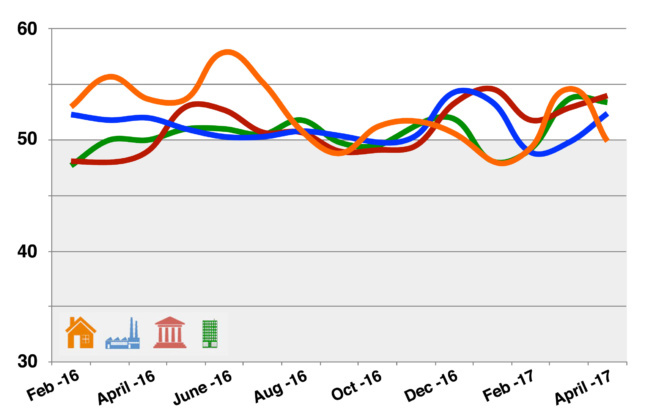 Three is the magic number for the Architectural Billings Index, it seems, as April marks a hat-trick of consecutive positive scores. 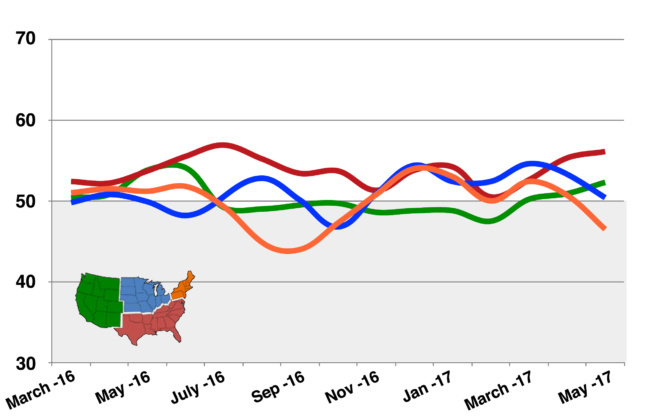 The three-month long positive streak will be welcome news, but not all within the industry will be surprised that April reported a positive score of 50.9 as the construction season approaches its zenith. This score, however, was down from March’s 54.3. 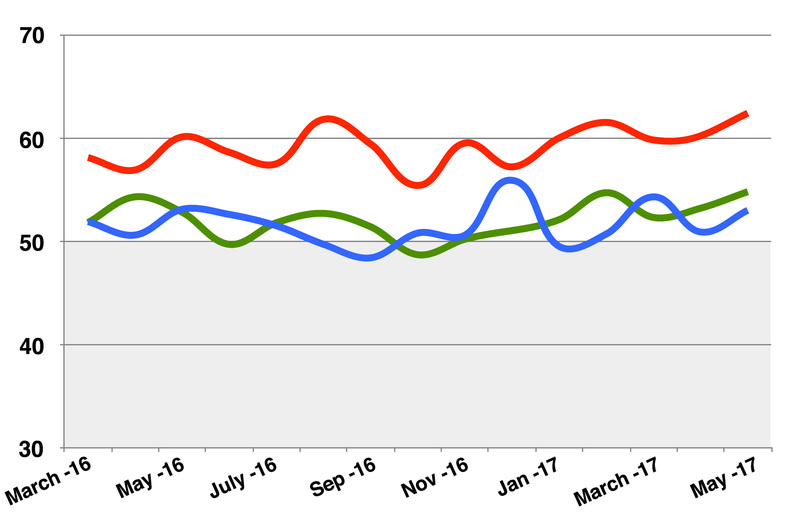 Meanwhile, Design Contracts and Inquiries were both up from the previous month, rising to 53.2 and 60.2 from 52.3 and 59.8 respectively. If last year is anything to go by, we can expect three more months of positive scores.